A favorite summer treat? Popsicles! The frozen ice on a stick that we all remember from our childhoods. Here are a few easy recipes to help you make them at home for less! Get 25-plus more recipes for freezer pops here! a Popsicle stick and continue to freeze until hardened. Puree the fruit in a blender. Pour into paper cups and freeze. Insert sticks when partially frozen and continue to freeze until they harden (overnight is good). 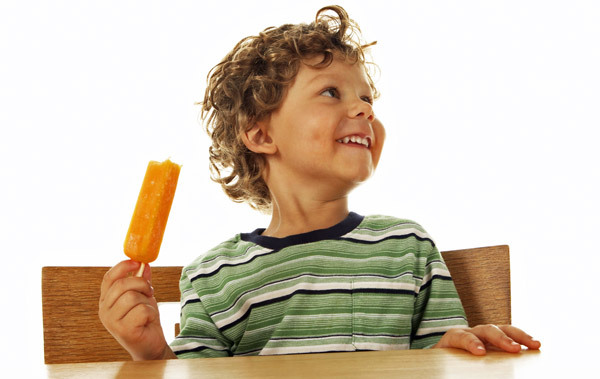 These popsicle recipes will help you make a frugal treat that the kids will love — whether they’re toddlers or teenagers!